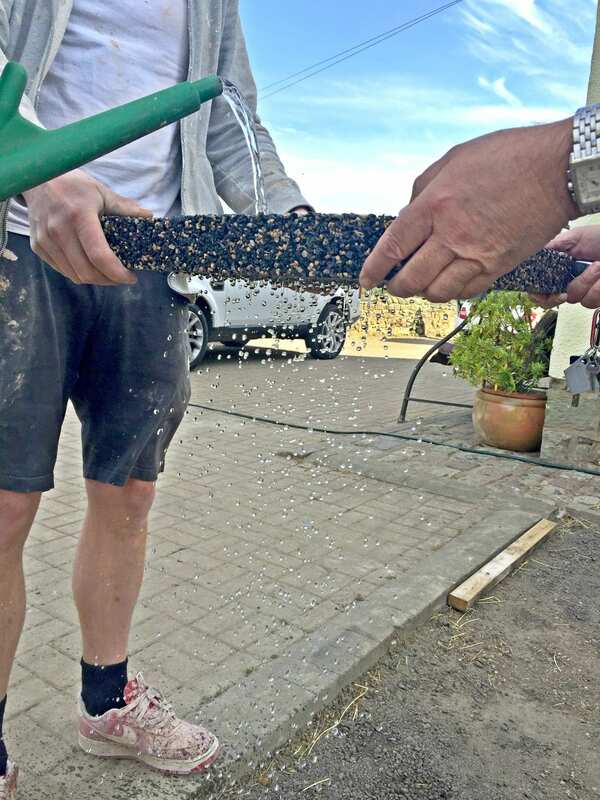 Trailflex has an unrivalled porosity of 80,000 litres of water per m2 per hour. 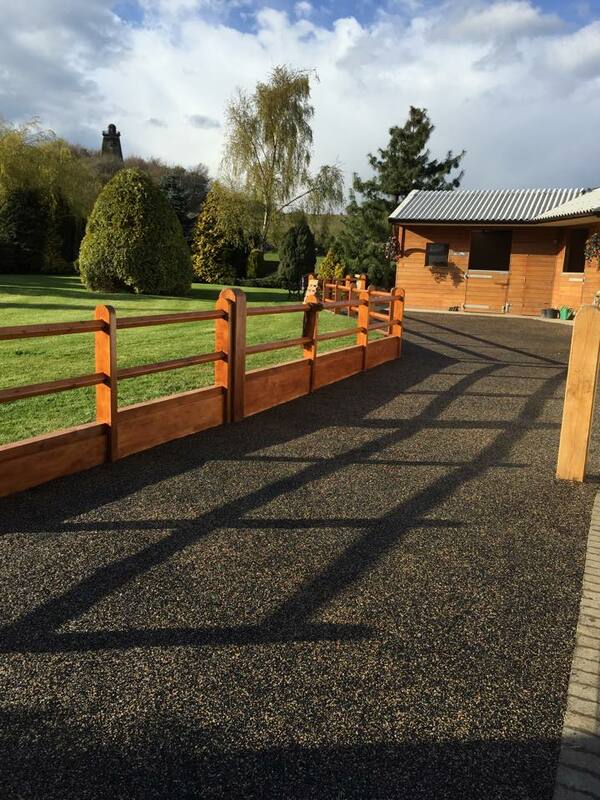 We Now Offer A 20 Year Guarantee & Are BBA Approved! 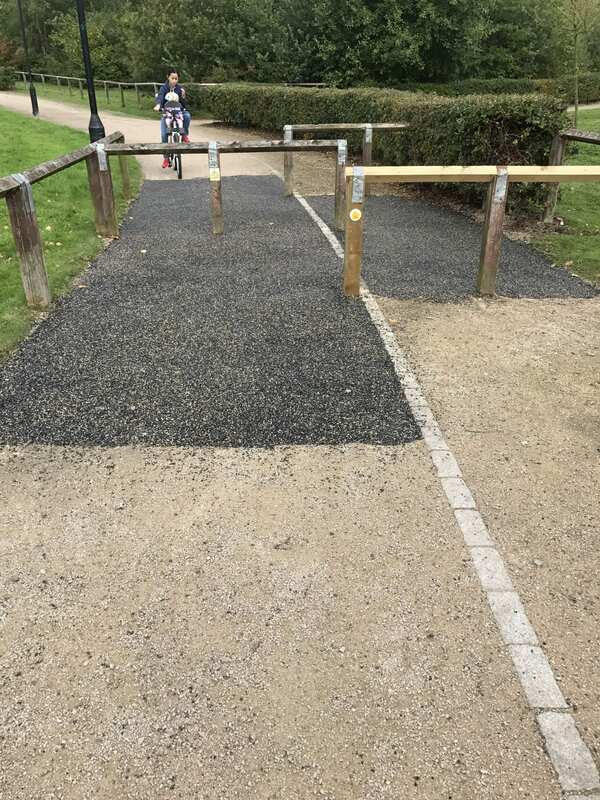 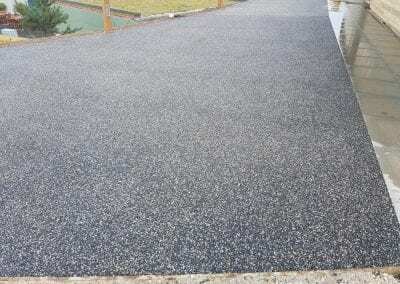 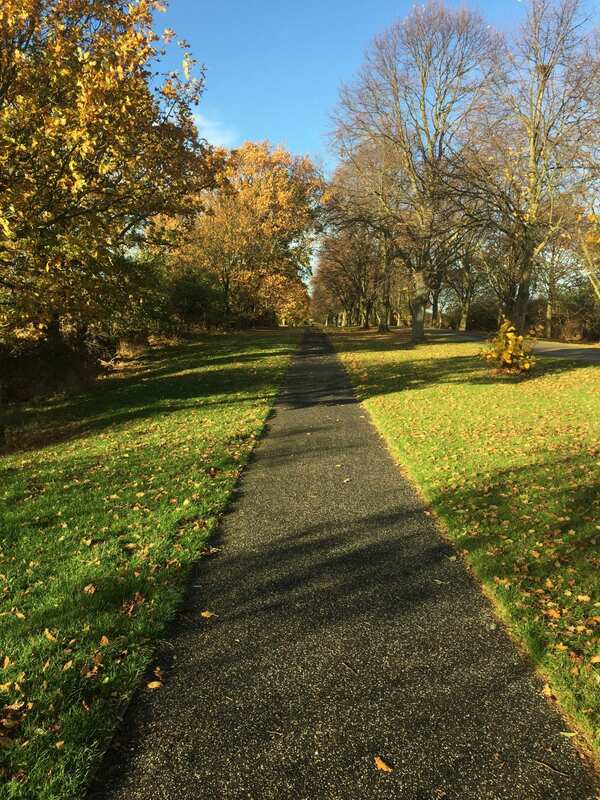 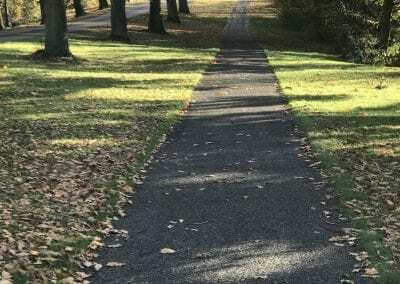 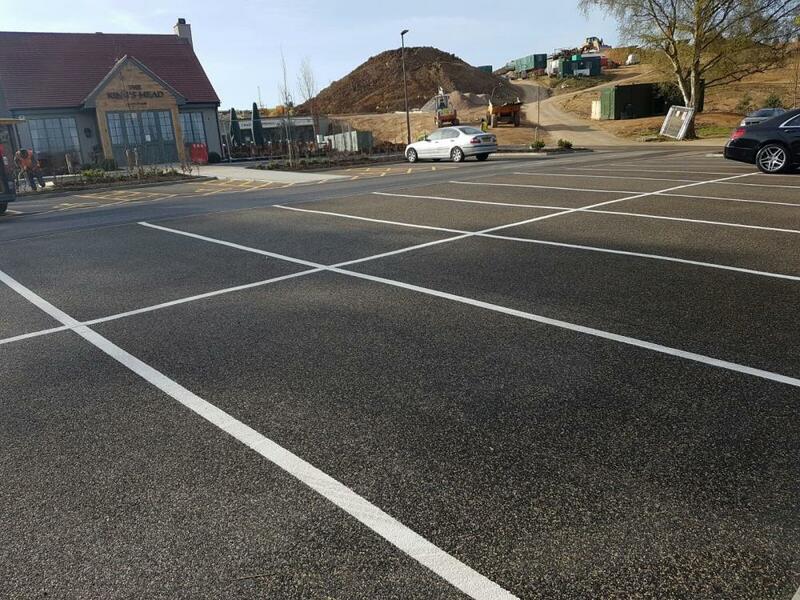 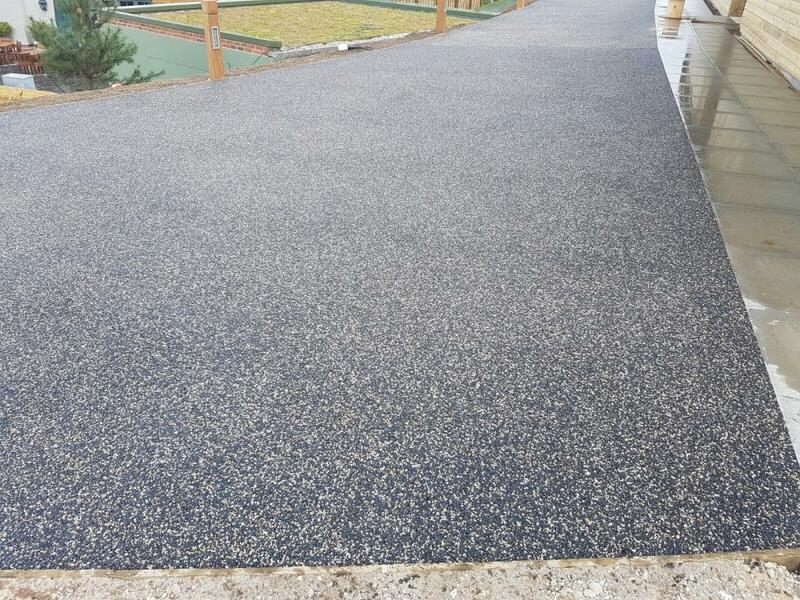 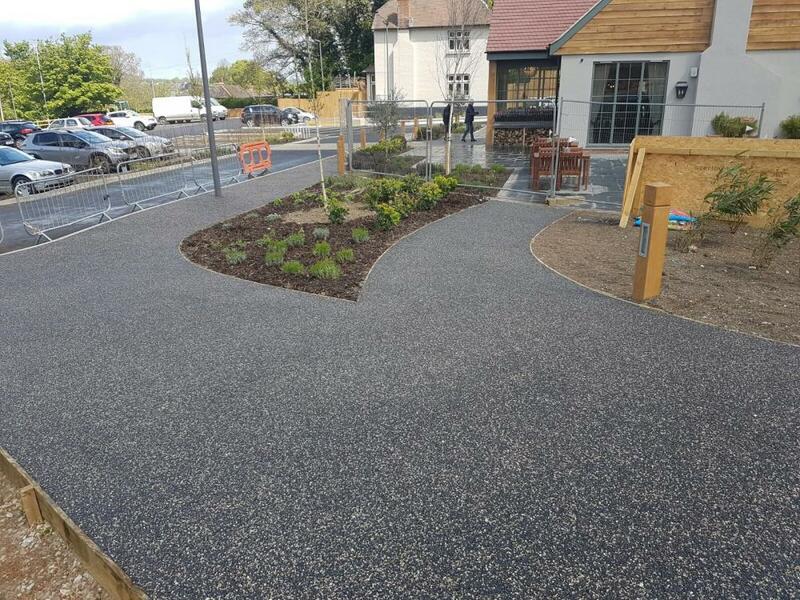 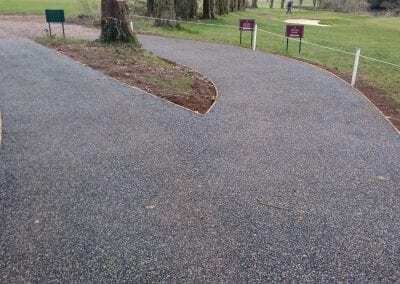 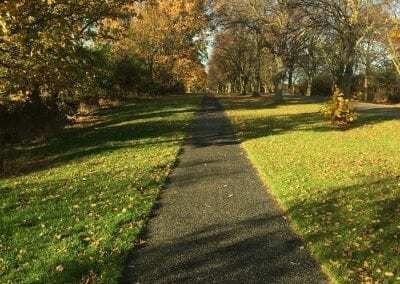 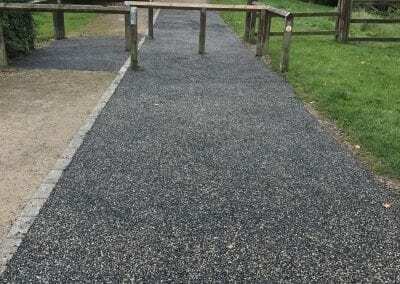 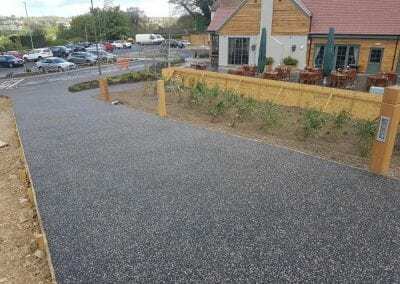 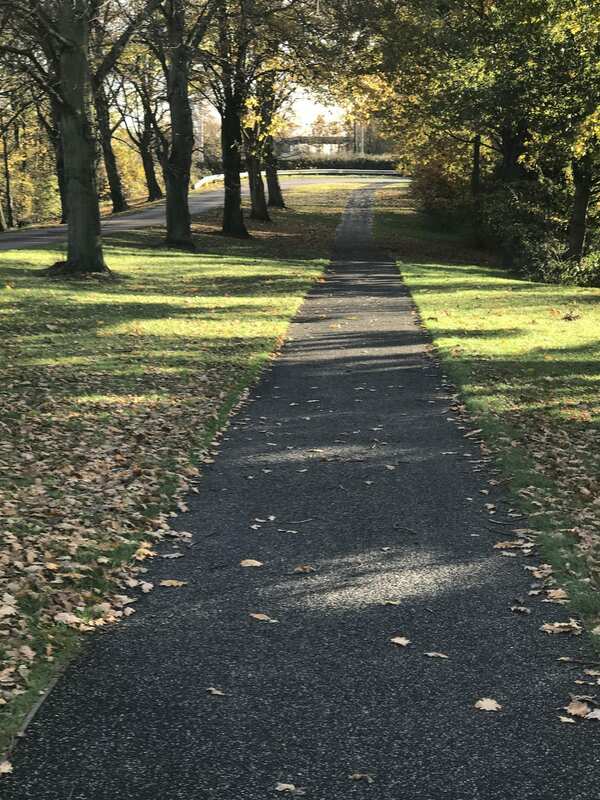 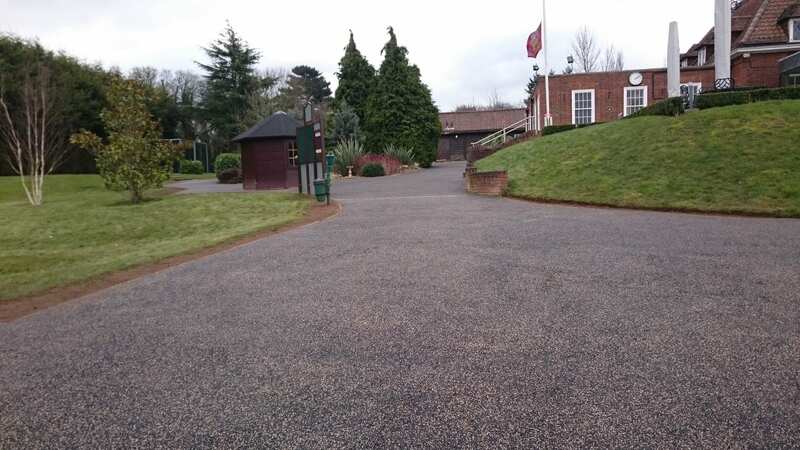 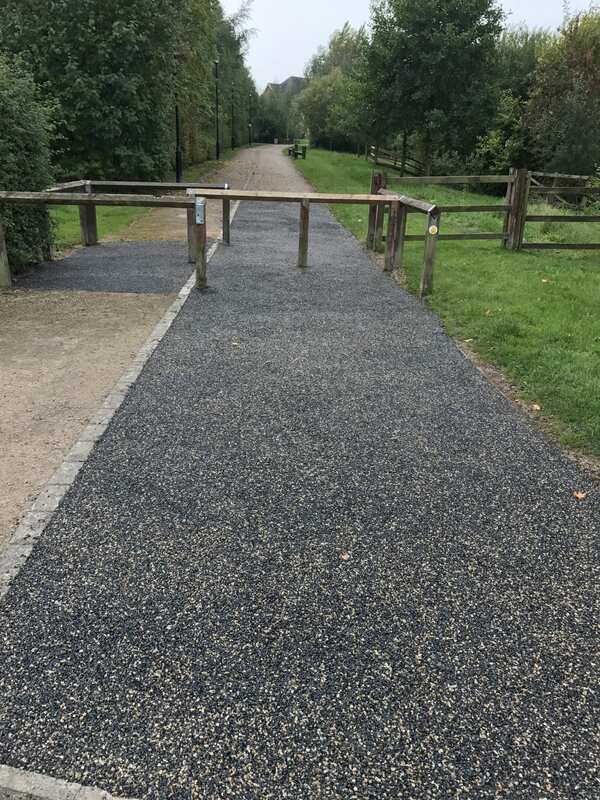 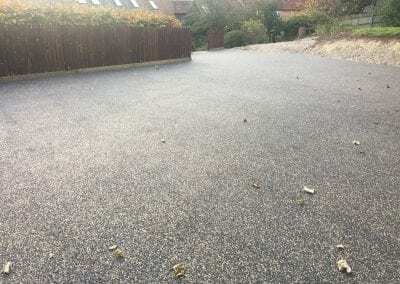 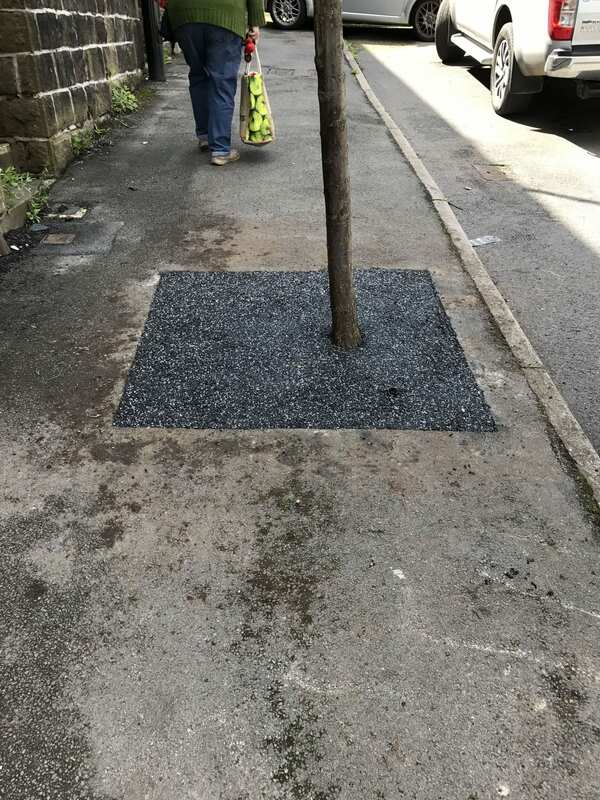 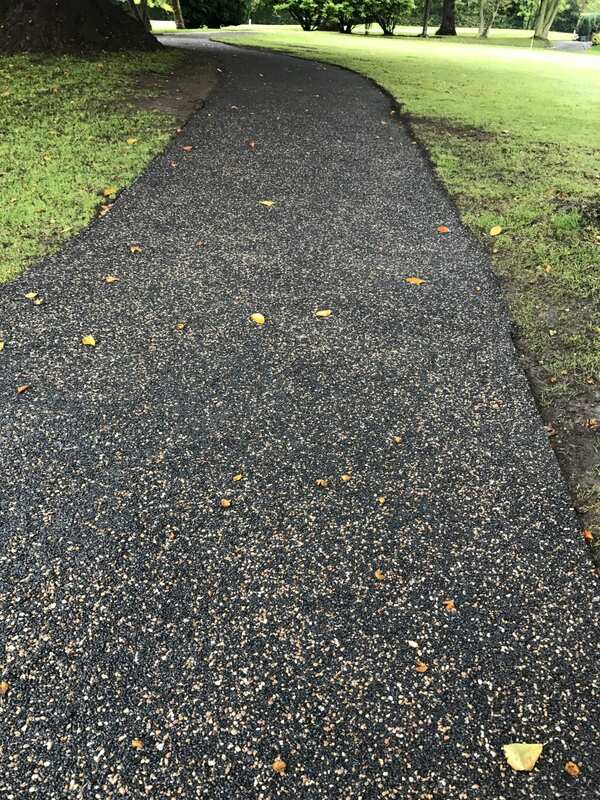 Trailflex is a highly permeable paving system comprising of a combination of recycled tyre, resin and stone with a straight line weight loading of up to 20 tonnes. 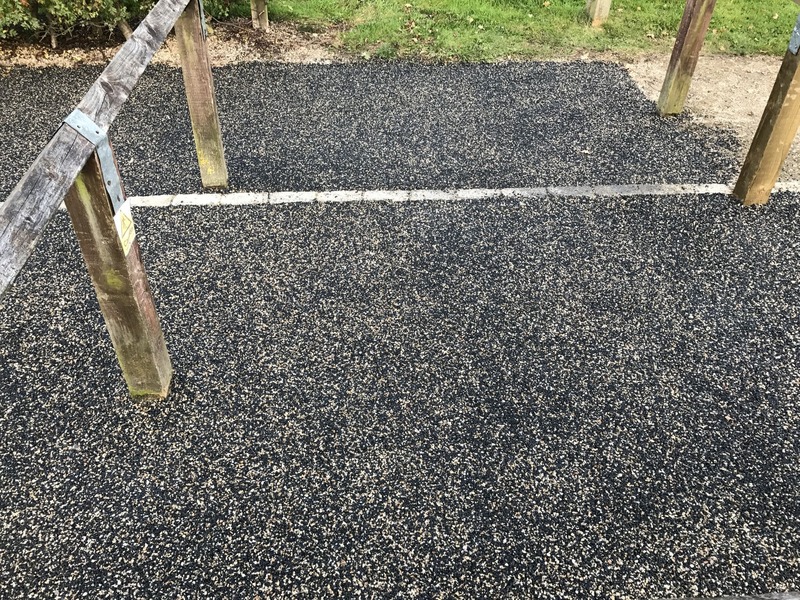 Trailflex will not clog and requires virtually no maintenance, ensuring fast and efficient drainage of rainwater and the replenishment of groundwater, allowing surrounding trees and plants to thrive. 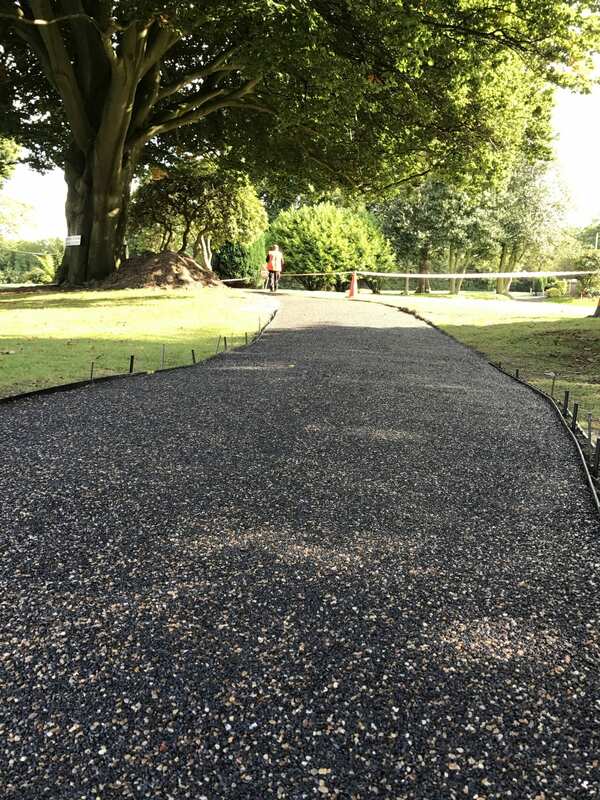 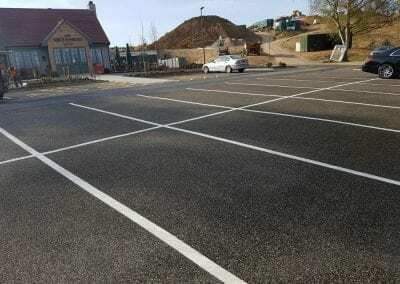 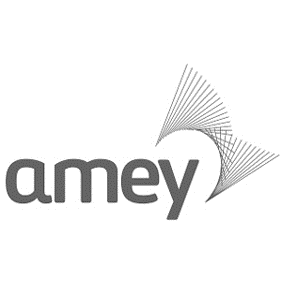 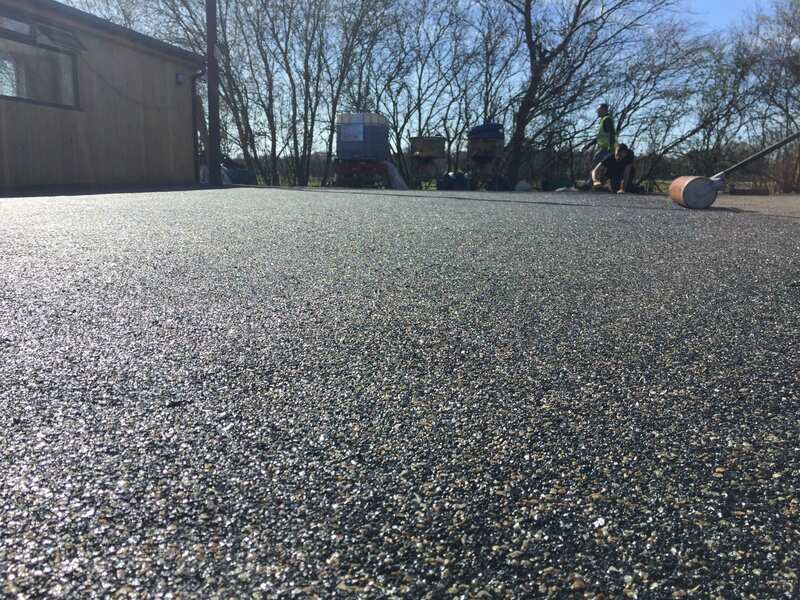 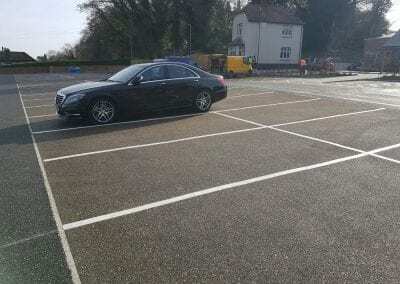 Installed directly on to type 3 aggregate or in some cases directly on to a membrane, the surface is manufactured on site using a cold, one part poured process which can be trafficked within 16 hours. 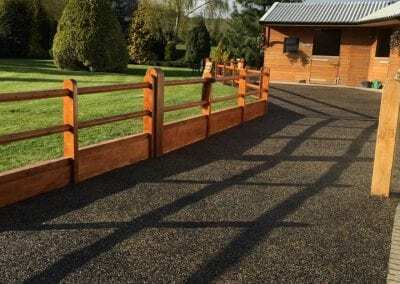 Trailflex is a one part cold poured system. 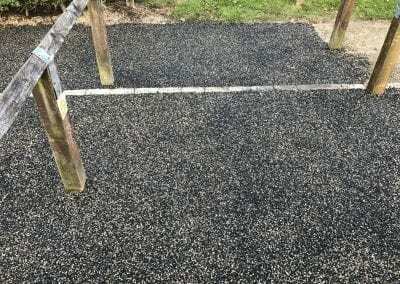 We advise you to consult a ground engineer to ascertain the type of the ground you are working with prior to installation. 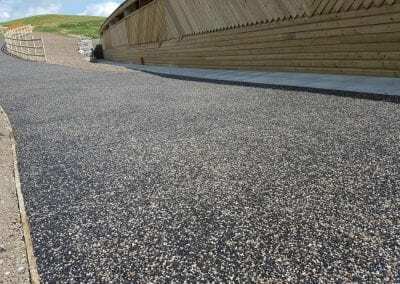 Membrane may be required beneath the type 3 in the case of heavy clay in the existing ground. 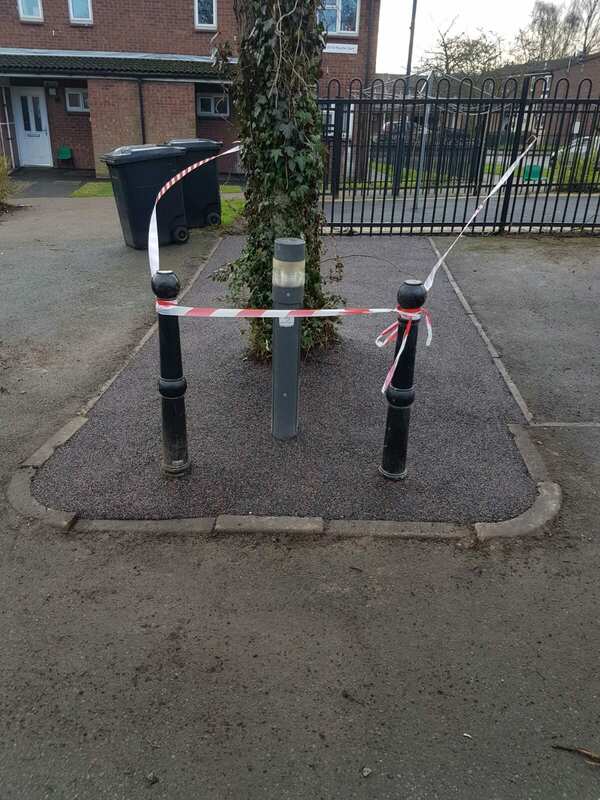 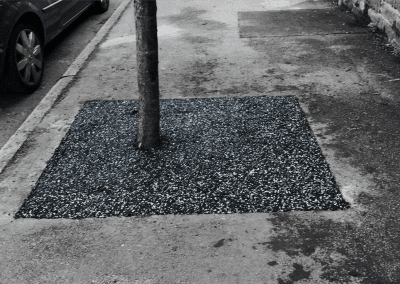 In addition to SUDS compliance Trailflex safely utilises 3 tyres on average for every square meter laid, reducing environmental impact by exploiting otherwise unusable and potential harmful materials. 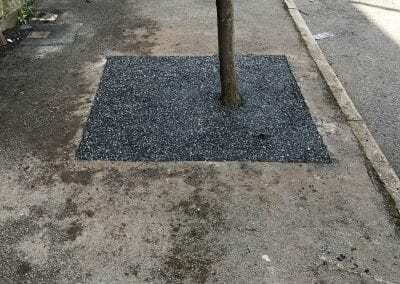 Originally developed for areas containing trees under protection order. 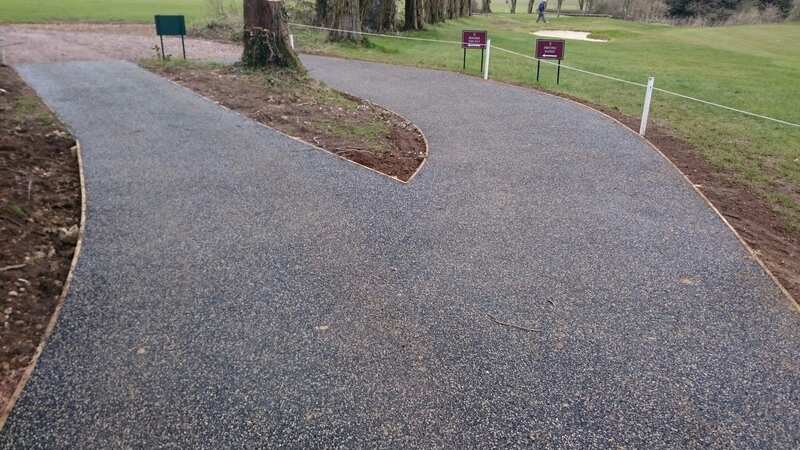 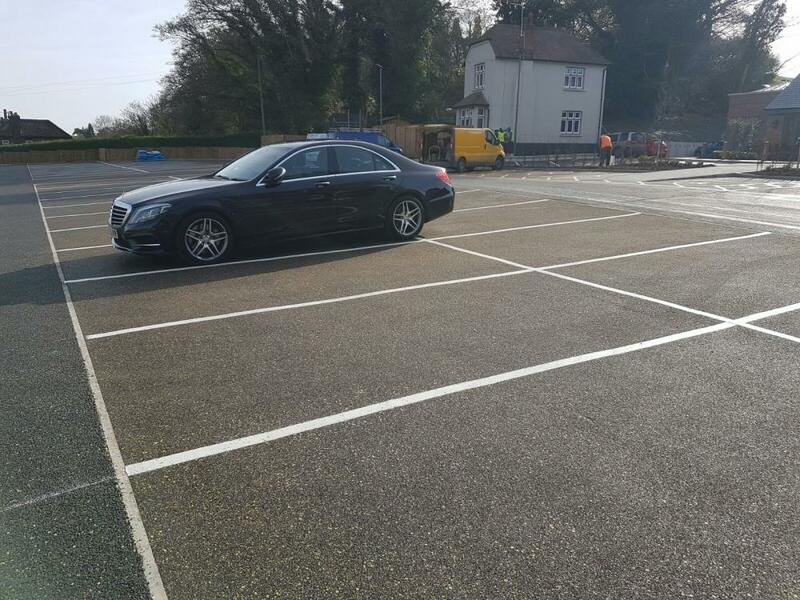 Trailflex allows for up to 90 degree flexibility without compromising weight loading or strength, making the finished surface adaptable in physical form therefore removing any risk of root intrusion and subsequent cracking. 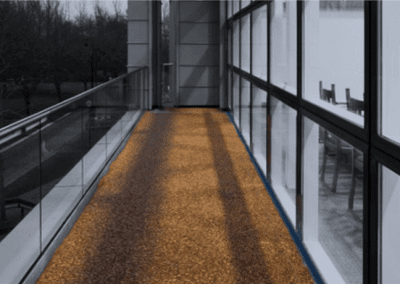 Trailflex is suitable for use in public realm spaces by reducing trips and falls subsequently providing a pleasant surface on which to walk. 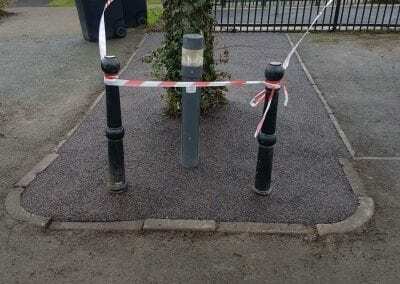 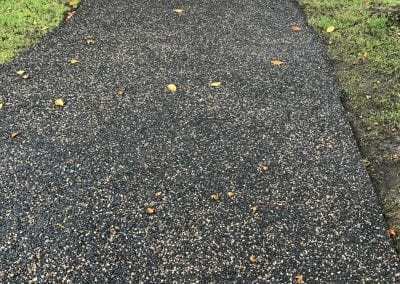 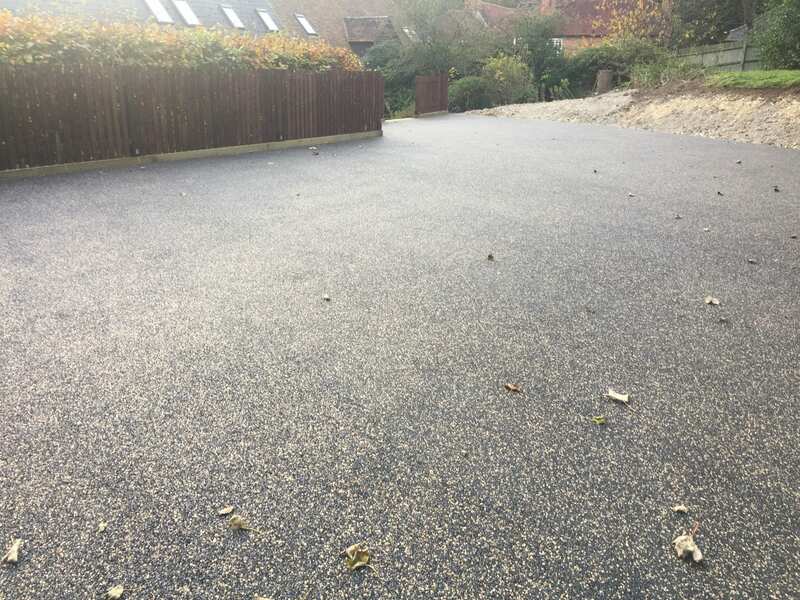 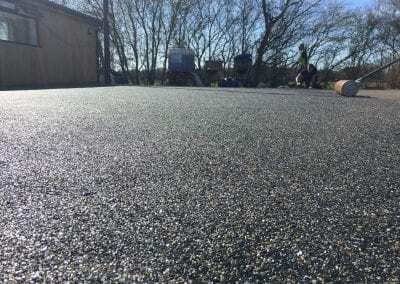 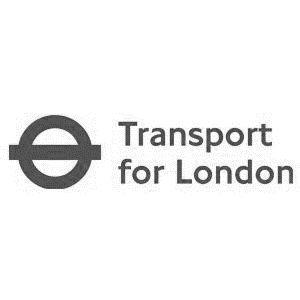 Due to the shock absorbent qualities of the surfacing it can also reduce the risk of potential injury from falling to cyclists and pedestrians. 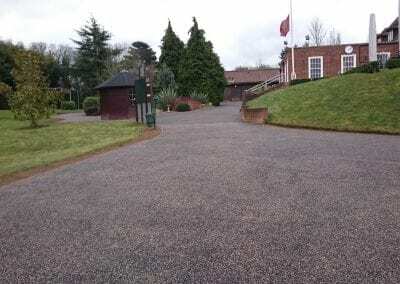 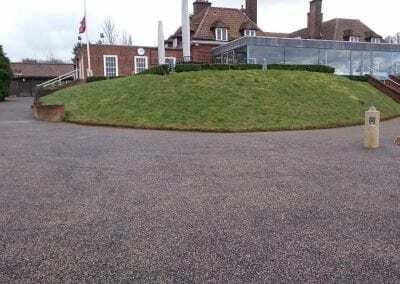 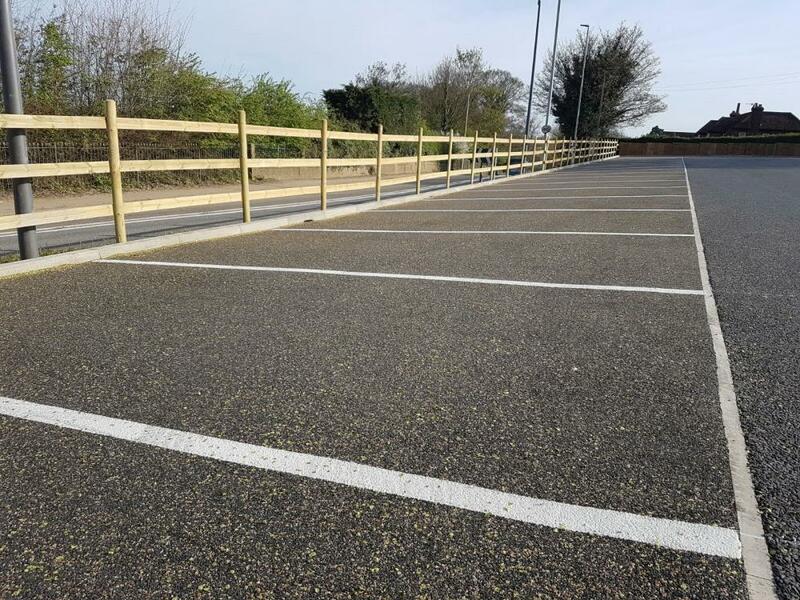 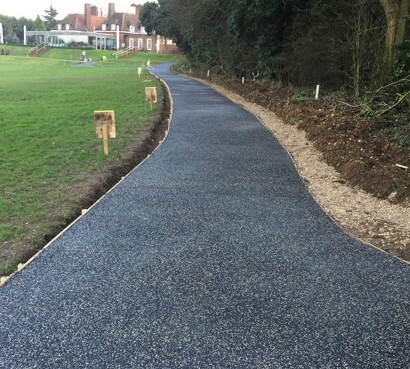 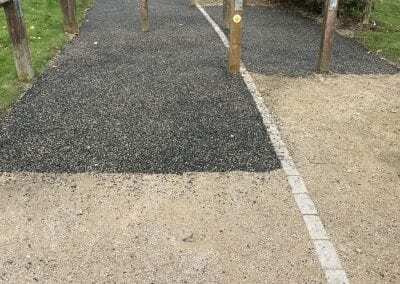 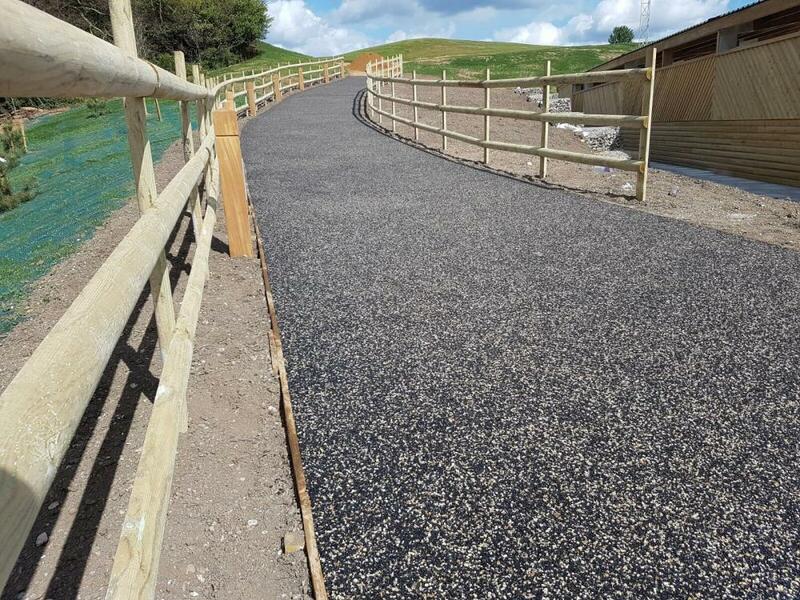 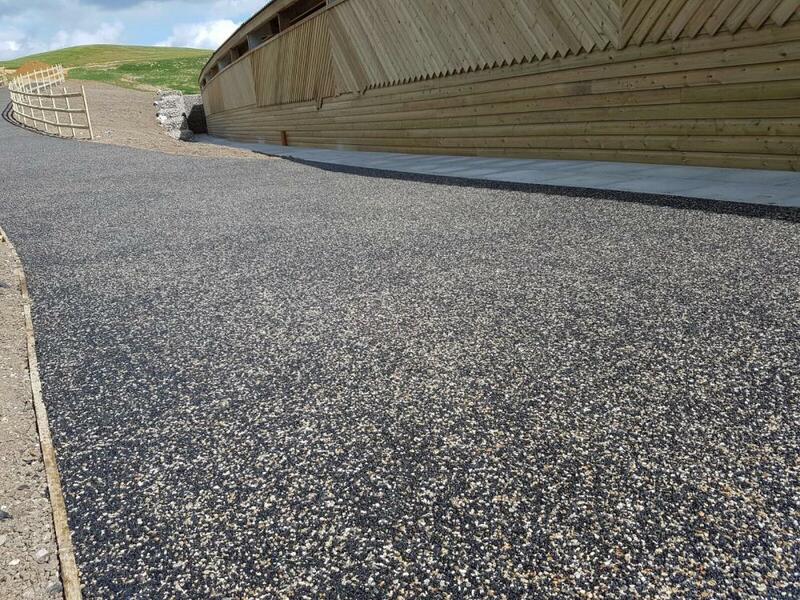 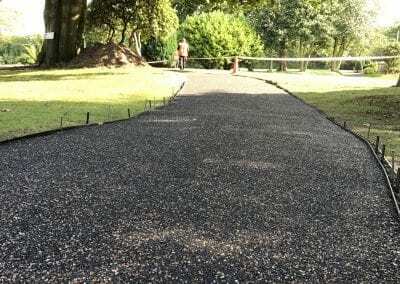 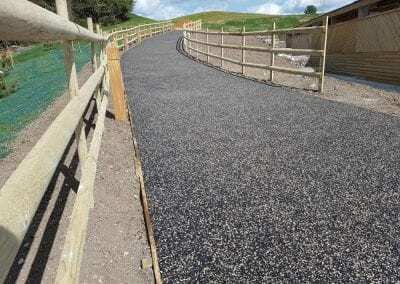 Trailflex has an unrivalled flexibly of up to 90˚ because of this Trailflex can be laid directly onto Terram. 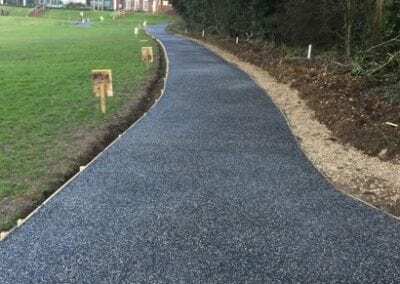 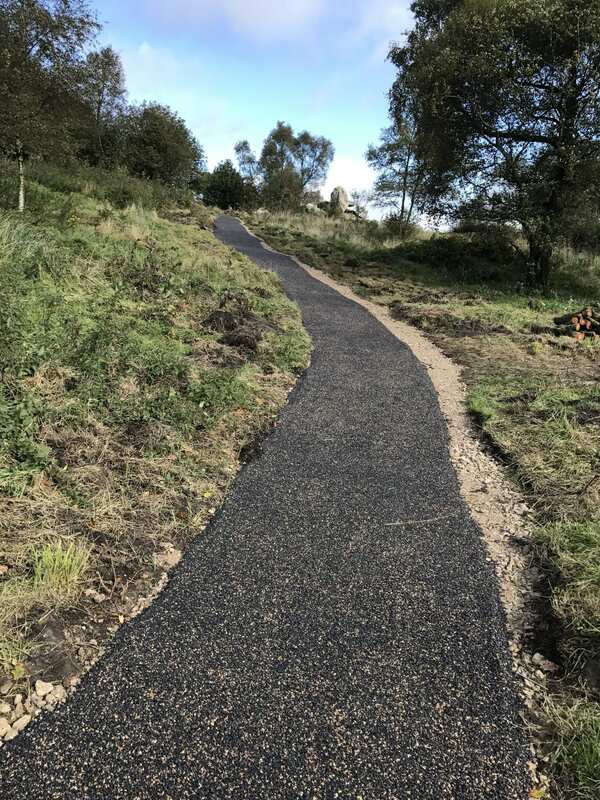 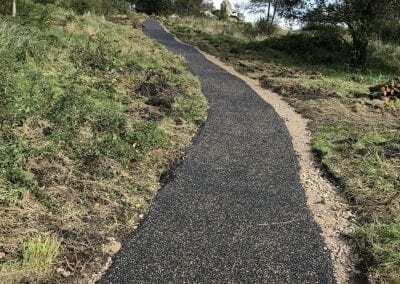 Using this method of installation allows Trailflex to adapt in physical form, allowing the surface to follow the contours of the surrounding terrain. 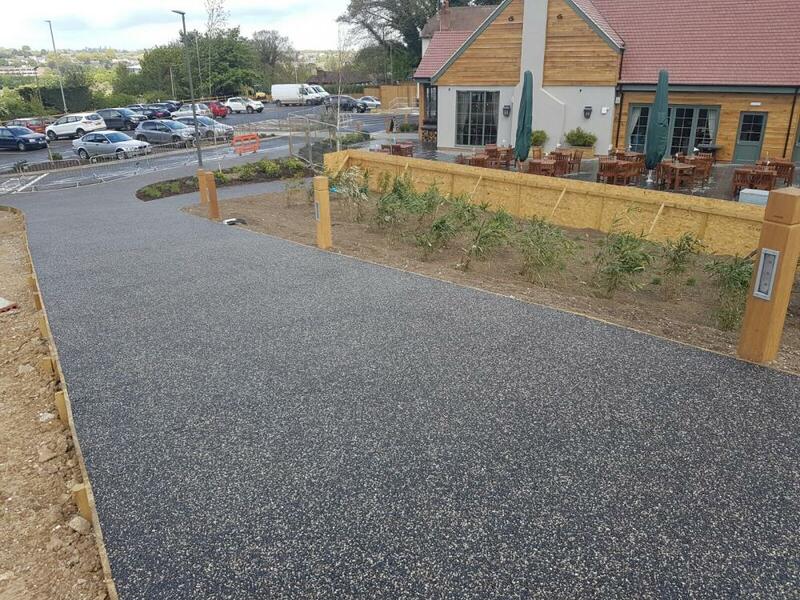 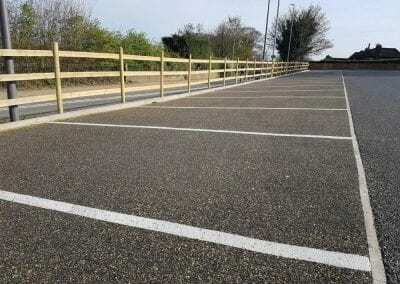 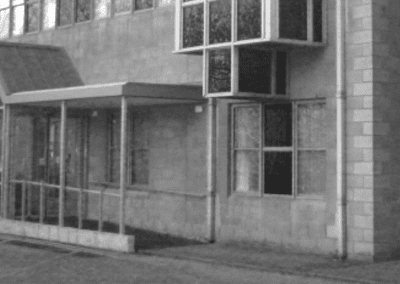 Here at Sudstech, we have successfully completed numerous projects across the UK and Europe. 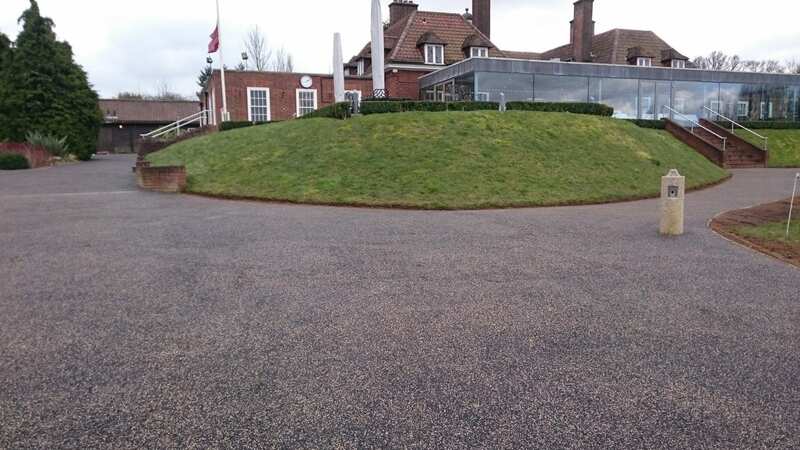 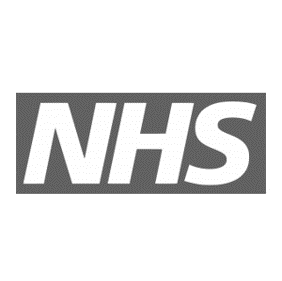 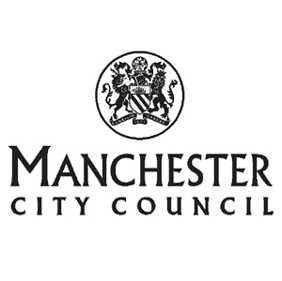 We are seen as trusted advisers in SuDS compliance and water management solutions.